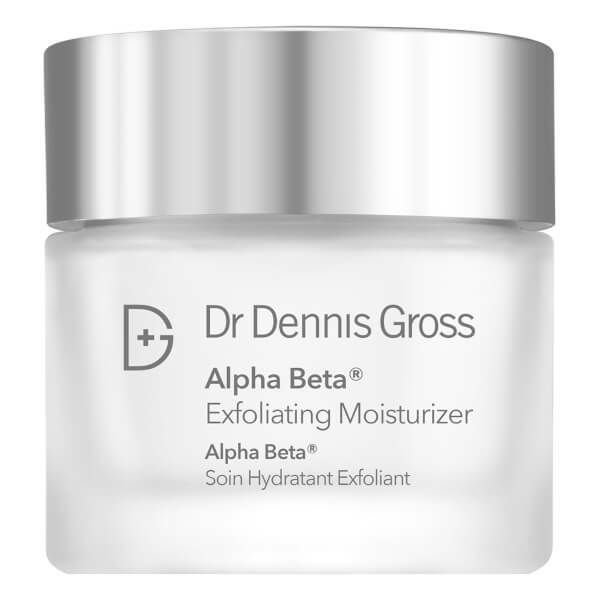 Treat your skin to the smoothing and refining benefits of Dr Dennis Gross Skincare Alpha Beta Exfoliating Moisturiser. The high performance formulation combines exfoliation with hydration to leave skin looking smooth, supple and radiant. Enriched with seven Alpha Beta® acids and a cocktail of replenishing actives, the face cream works to eliminate dead skin cells and surface dullness to renew the appearance of skin; pores, fine lines and wrinkles appear smoother and less noticeable. The moisturiser provides skin with 72 hours* of hydration and effectively strengthens the natural moisture barrier without clogging pores. A dose of Squalane, Ceramides and Chinese Foxglove help prevent water loss to maintain a natural water balance in the skin. Expect a softer, brighter and refined-looking complexion with enhanced moisture. For AM/PM use. 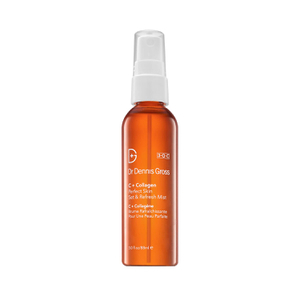 Massage into clean, dry face, neck and decollete. For optimal results use it right after the brand's bestselling Alpha Beta® Daily Peels. Water/Aqua/Eau, Lactic Acid, Glycolic Acid, Squalane, Polyacrylate Crosspolymer-6, Methyl Gluceth-20, C15-19 Alkane, Caprylic/Capric Triglyceride, Glycerin, Propanediol, Potassium Hydroxide, Sodium Hydroxide, Sodium PCA, Malic Acid, Mandelic Acid, Salicylic Acid, Salix Alba (Willow) Bark Extract, Citric Acid, Tartaric Acid, Rehmannia Glutinosa Root Extract, Ceramide NP, Sodium Hyaluronate, Saccharide Isomerate, Jojoba Esters, Bisabolol, Hydroxyethyl Urea, Jasminum Officinale (Jasmine) Flower/Leaf Extract, Cucumis Sativus (Cucumber) Fruit Extract, Pyrus Malus (Apple) Fruit Extract, Rose Extract, Aloe Barbadensis Leaf Juice, Elettaria Cardamomum Seed Extract, Rubus Idaeus (Raspberry) Fruit Extract, Santalum Album (Sandalwood) Wood Extract, Cucumis Melo (Melon) Fruit Extract, Eugenia Caryophyllus (Clove) Flower Extract, Lavandula Angustifolia (Lavender) Flower/Leaf/Stem Extract, Cinnamomum Cassia Bark Extract, Sanguisorba Officinalis Root Extract, Zingiber Officinale (Ginger) Root Extract, Ethylhexyl Palmitate, Tridecane, Isoamyl Laurate, Isohexadecane, Dicaprylyl Ether, Glycereth-26 , Ethylhexyl Olivate, Undecane, Butylene Glycol, Dimethicone, Dimethiconol, Ammonium Acryloyldimethyltaurate/VP Copolymer, Caprylyl Glycol, C13-15 Alkane , Polymethyl Methacrylate, Polymethylsilsesquioxane, Polysorbate 20, Polysorbate 60, Tetrasodium EDTA, Phenoxyethanol, Titanium Dioxide (CI 77891), Mica (CI 77019).